If you are involved in the fire alarm industry then chances are you have come across conventional 4-wire duct smoke detectors. Now with new technology, addressable versions of these duct detectors have made connections, wire pulling and programming a lot easier. Not to mention the cost savings. In this article, I want to cover the proper method for connecting multiple 4-wire conventional duct smoke detectors on one single IDC (Initiating Device Circuit). This could be a connection directly off of a conventional loop card or even an addressable monitor module. 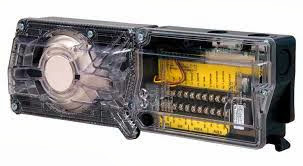 For reference, we are going to be covering the connections on the System Sensor D4120 model duct detector as this is the most common version used by mechanical contractors. Also note that the System Sensor D4120 is the replacement for the DH100ACDCLP. The reason to mentioned this is the fact that System Sensor was smart when creating the newer D4120 by carrying over the same terminal numbers for the connections on the board. If you were used to connecting to the DH100ACDCLP then you know the alarm contacts were on terminals #4 and #5. Well even though the terminals on the D4120 are not in the same location, they have the same numbers. When connecting one conventional duct smoke detector, we know that we have to wire the EOL (end of line) resistor in series through the supervisory contacts #3 and #14. This is a method that is absolutely necessary as it is the only way to properly supervise the detector and IDC. If the duct detector losses power, has the cover opened, dirty sensor, or a internal wiring problem between the board and the sensor, the supervisory contacts will open thus creating an open circuit and a trouble at the FACP. Now if we have multiple duct smoke detectors on a single IDC loop, then we need to make sure we wire the EOL resistor in series through all of the detectors on the loop. This means running an additional pair of wires during the rough in stage. One pair of wires will be for the IDC (alarm contacts #4 and #5), the second pair will be for the EOL and supervisory contacts (#3 and #4) and the last pair will be for the 24 volts DC resettable power. Please note that one of the wires on the supervisory pair will run all the way from the last duct detector (terminal #5) on the loop to the first (terminal #14), while the second wire of the pair connects the supervisory contacts of each detector (#3 to #14) on the loop. If you were to wire the IDC pair through all of the alarm contacts and place the EOL resistor in series through the supervisory contacts on the last duct detector only what would happen? The answer is, each duct detector would go into alarm, however only the wiring/circuit would be monitored for integrity. If you do not wire the resistor through each of the detectors supervisory contacts, you are not monitoring the status of the detector itself. An example would be: you have three System Sensor D4120 duct detectors on a single loop. Coming off of your addressable monitor module, you are landing on the alarm contacts of all three detectors. When you get to the third detector you wire the EOL resistor in series through the supervisory contacts. Technically the third device is the only detector on the loop that is properly supervised. If the first duct detector had a loose cover and the second had lost power, you would never know as long as the third device was working properly. You and the FACP would only know of a trouble on the first two detectors if the third detector had a fault. This is why it is so important to follow this method. Key Note***** Make sure to always meter out the supervisory contacts as different duct smoke detector manufacturers label them differently. Sometimes the contacts reverse when powered up. In the case of the System Sensor D4120, the resistor is wired through the Common and Normally Open contacts. Once the unit is powered up and free of any faults, the contacts will reverse and close up and complete the circuit. Keep in mind that this method is also required when wiring any other fire alarm device that has separate supervisory or trouble contacts. The big one to mention is beam detectors.